Embrace a little healthy competition with these cupid-approved affairs. Nothing gets the heart racing more than the anticipation of a good date. Sure, there’s time for roses, chocolates, and a candlelit dinner, but why not switch up the traditional Valentine’s routine and go for an energetic outing? We’ve rounded up five of Dallas’ best spots for a date that’s a little different from all others. You’ll feel zero guilt for indulging in some delectable sweets after you burned off countless calories. And the exciting thing about fit dates is that you may sprinkle in the element of competition. Although you may not be able to scale the Rockies in North Texas, you can climb to the top of a rock wall at Summit. Never rock climbed before? No problem. 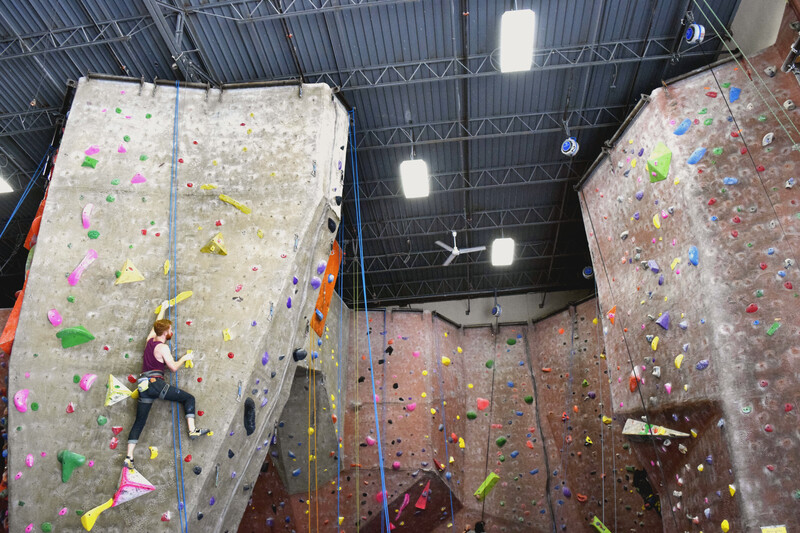 They’ll take care of you and your date at a Climbing 101 class. By the time you’re finished, you’ll be belaying all over the place. A day pass, plus gear rental, will set you back $40 for the two of you. With four Summit locations in North Texas, you can decide which gym is most convenient for your Valentine’s plans. Get into a Cirque du Soleil vibe at an aerial silks class at Vertical Fitness Dallas. The vertical workout is known to recruit every muscle in your body as you defy gravity by climbing, flipping, wrapping, and dropping with your partner in the silk ribbons. Sound a bit intimidating? Vertical Fitness strips it down to the basics with a beginner class. For the two of you, it will cost $50 for a one-hour class. Perhaps there is nothing more American and classic than a jaunt to the bowling alley. 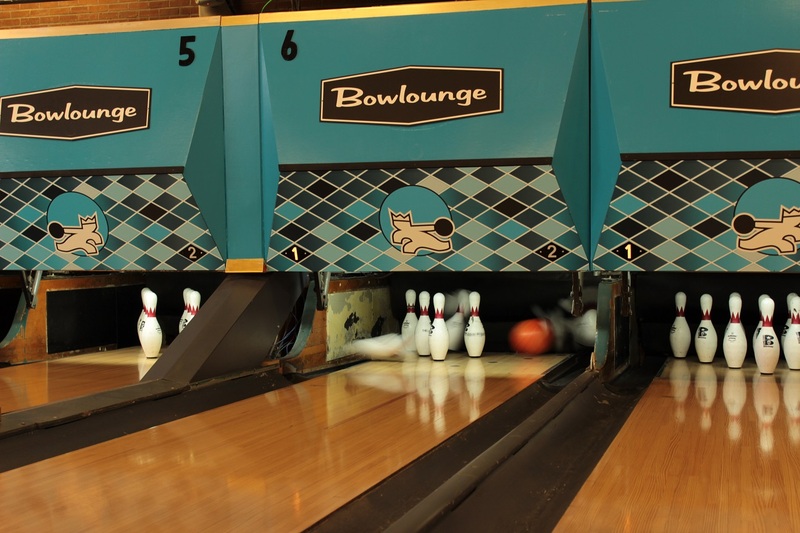 Bowlounge, in the Design District, has the bones and charisma of a vintage bowling alley. The joint has 12 lanes, and they do not take reservations, so make sure you’re not in a hurry if you’re planning on this date night. Depending on a weekday or weeknight, shoe rentals and one game will cost you between $15 to $20. It’s the date night activity we most often see in rom-coms, so why not try it out in real life? Dance lessons are a sure way to get close and engage in something different and out of the ordinary. Studio 22, a ballroom and social dance club, has you covered, from the rumba to swing. The one-time trial pass is $20 a person. In honor of Valentine’s Day, the studio is hosting a 50 Shades of Red class that focuses on Latin-inspired dancing from 8 p.m. to midnight Feb. 11. Katy Trail is bustling with a flurry of activity on any given day. Why not take to the trail with a pair of rollerblades this Valentine’s Day? Stop off the 3.5-mile trail for a chocolate milkshake at the Highland Park Soda Fountain shop. On the southern end, closer to downtown, grab a beer at Katy Trail Ice House. You can also run for a cause at the Cupid’s Chase 5K at Bachman Lake on Feb. 11.